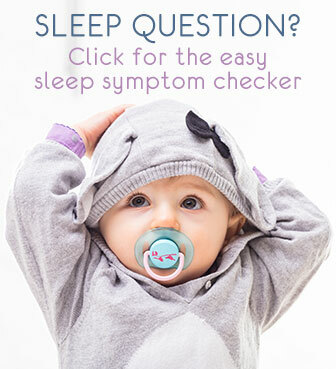 The Cosleepers Guide continued: help and ideas for safely and successfully using a snuggle nest in-bed crib, a cosleeping pad or a cosleeper bedside crib. 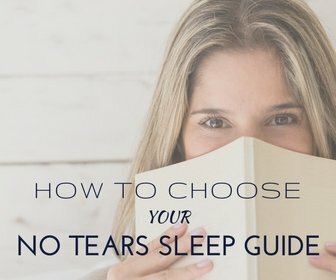 Continued from Part 1 of the Cosleepers Guide. Find out how to successfully use an in-bed mini sleeper, a cosleeper pad or the all-rounder bedside cosleeper. WARNING! Do not use a sleep positioner wedge of any kind. These are often delivered with 'nests' mini cosleepers (which I also recommend against). Such a sleep positioner or wedge is supposed to keep an infant in the correct position (on the back). But babies have suffocated after having rolled over anyway and getting stuck between the positioner or wedge and the bed side. So use your sleeper as is, without the positioner. See the CPSC report for full details. A cosleeping pad or bumper will keep your baby from falling out of your bed. It is easy to use and very comfortable. Simply place it on your bed, it usually sticks under your fitted sheet or on top. Your body weight keeps it in place. No worries about baby getting stuck - there are no gaps at all. A good option for this type of cosleepers is the Humanity Family Bed Co Sleeping Pad (as in the picture). As always remember to observe all cosleeping safety guidelines very carefully. Regardless of the arrangement you have, there should be no risk of getting stuck, being obstructed from breathing or becoming too hot. I honestly can't recommend anything more than a true cosleeper crib. 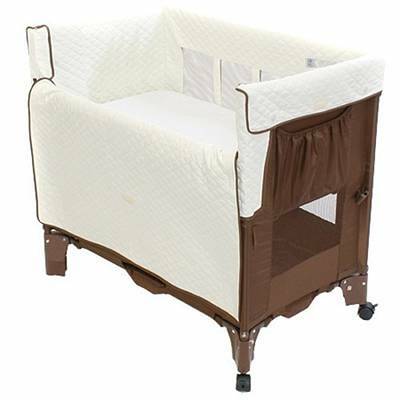 It is a full-fledged crib where your baby sleeps in all safety and comfort. She has her own space which is a major help in learning to sleeping independently. But the crib is attached to your bedside so you practically cosleep: your child is near for feeding, comfort and reassurance (and lots of sleep!). This helps reinforce confidence building in a reassured environment which is an equally important prerequisite for independent sleep later on. You also both have all the space you need to sleep safely and comfortably. The Arm's Reach Co-Sleeper in the picture is a good choice for many reasons - see my dedicated Arm's Reach cosleepers review. But there are different brands offering similar models. Most models can be converted and serve as a standalone crib and as a play pen, sometimes a bench. This keeps you flexible once you want to move your little one to her own room. And you save on those items then, which makes up for a good part of the price tag now.